Get yourself pampered with our exclusive range of 4.5 tog duvet and pillow sets. 4.5 tog duvet and pillow filled with 100% polyester hollow fibre are fabulous during summers. These fillings are light in weight and breathable to keep you cool during hot summer nights. You will surely adore our lavish poly cotton cased duvet and pillow sets that are available in different sizes like single, double, king and super king. 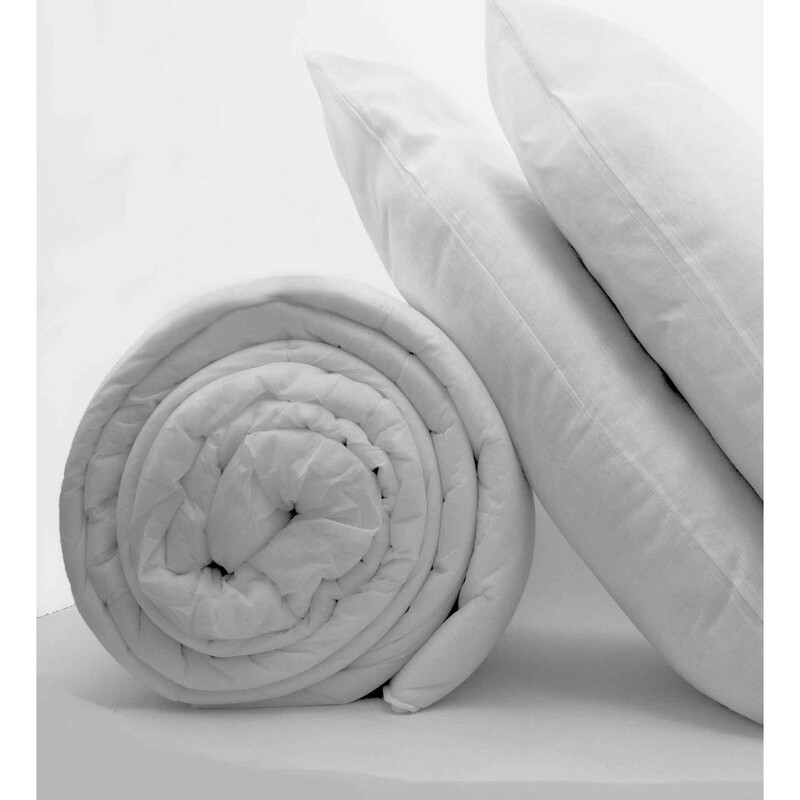 Our soft duvet and pillow set casing are machine washable and will certainly bestow you with cosy and comfy sleep. Bedding mill offers superior quality duvet and pillow sets for adding value to your sleep. Our exclusive ranges of duvet and pillow sets are available in various tog rating like 4.5, 10.5, 13.5 and 15 for all season use. Pick them according to your preference and liking. Stuffed with 100% polyester, these duvets and pillow sets will furnish you excellent warmth and comfort. Add refinement to your sleep with our soft poly cotton or polypropylene casing that is extremely smooth and silky to pamper your skin. Both casing and fillings are highly durable and machine washable at 40 degree Celsius. Our luxurious duvet and pillow sets are available in ample of sizes like single, double, king and super king to suit every need.